A timeless classic! 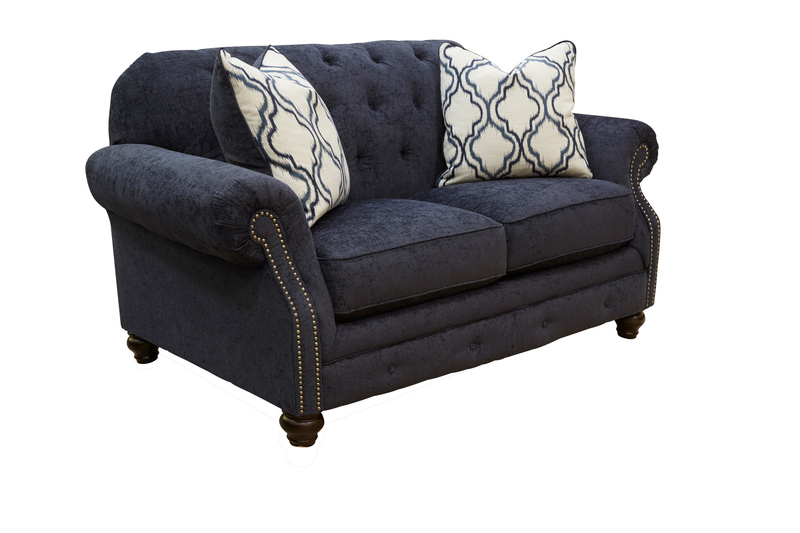 This 3 seat sofa features Bombay shaped arms with brass nail head trim and a graceful tufted back. Notice the casual bun feet and 4 elegant throw pillows. 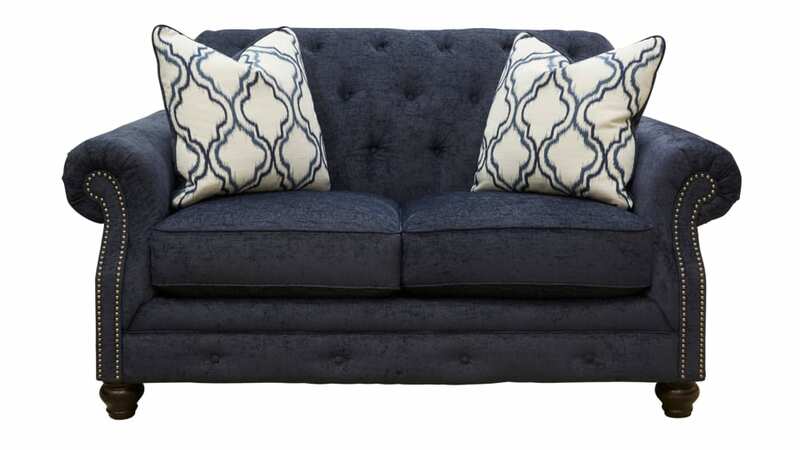 You simply can’t go wrong with such a popular loveseat.